Junpei will be appearing live in the studios of NHK-FM on Wednesday, July 29. He'll be performing with Tetsuya Murakami of The Gospellers during the "Midnight Soul Cafe" segment of the program "The Soul Music." There will be solo numbers by Junpei as well as duets with Tetsuya. So don't forget to tune in. On "The Soul Music" segment of NHK-FM's "Midnight Soul Cafe"
With memories of their March show still fresh, Junpei Shiina & The Soul Force announce more good news: they will play a gig at the Cotton Club in Tokyo's Marunouchi district. Junpei Shiina & The Soul Force have clearly put their foot on the gas, and there is no better way to experience that power than with your own eyes and ears. Junpei and band will be waiting for you in Marunouchi on Wednesday, July 14. At long last we have some concert info for Junpei. On Thursday, July 8 he will appear in Shibuya at Club Asia to play the "Bridge of Sound" event presented by Freeasy Beats. Along with Junpei, the show features host Freeasy Beats as well as Romancrew and LiquidFunk. Junpei Shiina will perform live at an opening party for the restaurant Bistro Sully in Tokyo's Kichijoji district. Invite your neighbors and come party on Thursday, June 3. Junpei has a wonderful voice! 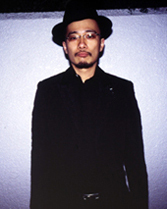 Junpei Shiina provides vocals on two new albums set for release in March. The first is 'Do You Remember That Night?,' a best-of collection from Sugiurumn out on Wednesday, March 10. Junpei performs on "Night Music," originally released in 2001. The second album is 'At Rie Session' by Rie Fu. It goes on sale Wednesday, March 31, with Junpei lending his voice on a new track, "Hitotsu Hitotsu." Junpei Shiina discusses the appeal of KORG, producer of electronic instruments, on the company's website. Video of his comments is also available. Junpei Shiina & The Soul Force took the stage at Motion Blue Yokohama on March 28. Actually, it was their first live show in half a year. The band was tight though, showing no signs of rust. Plus there was the added excitement of almost all the numbers being new songs. Guests included keyboardist Swing-O along with Tabu Zombie and Motoharu from Soil & "Pimp" Sessions, giving the stage a resplendent vibe, with some depth, too. The photo is of Junpei standing and belting out some lyrics. Swing-O manning keys really gave Junpei the chance to showcase his vocal prowess. As Junpei likes to say, musicians feed off the audience. At this show especially, the enthusiastic response of the packed house really motivated the band to take it to the next level. Where will Junpei Shiina & The Soul Force go from here? Expectations are high. On Thursday, March 24 Junpei Shiina will play a show with his Dezille Brothers compatriot Tomoyasu Takeuchi. The venue is Shock-On, a restaurant featuring live music in Kawaguchi, Saitama Prefecture. Enjoy a night of fragrant soul on a great March day filled with Dezille. Junpei Shiina and guitarist Yosuke Onuma will play two dates in Kyushu in June. Making great music in Kyushu is a long-held wish of both musicians. Junpei. March 28. Live with The Soul Force. Junpei Shiina & The Soul Force will play their first live show in many moons on Sunday, March 28 at Motion Blue Yokohama. Guests include best buddies Tabu Zombie and Motoharu of Soil & "Pimp" Sessions, along with Swing-O, keyboardist and producer extraordinaire. Expect unprecedented aggression. Access Junpei Shiina Concert Information for more details. Junpei Shiina will play live at one of his favorite stomping grounds, Loop in Daikanyama. Round up the neighbors and come enjoy the show. Access Concert Information for more details.